Day 4: Himeji - every city in Japan seems to be renovating (or just renovated) its train station. Himeji looks like they're turning theirs into a combination monumental gateway and shopping mall (which is not uncommon). 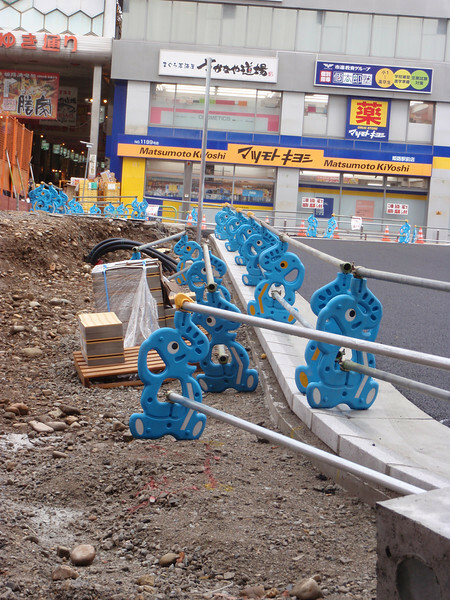 To block off the construction site, they've turned to this very inventive fencing.